We just got back from another great year of the O’Reilly Fluent Conference. Its been interesting to see how Fluent and the development industry have both grown exponentially over the past 7 years. This year’s Fluent conference was inspiring -- continuing a trend of introspection. Every year the event prompts us, as developers, to take a reflective look at our industry, our work, and our ethics. Many interesting topics were discussed, and it was stimulating for a massive tech conference to open up subjects like integrity, privacy, and diversity. Kudos to the folks at O’Reilly that are putting together the agenda! React and TypeScript have grown in interest since last year. Regarding theming, most folks were interested in SASS support. Luckily, we have that on the cusp of being released! Also, there was an increasing interest in Web Components. A common discussion centered around customization, especially of FlexGrid (our datagrid). Inevitably, each developer has a particular need for their grid (some of which are pretty wild). Conveniently, FlexGrid is versatile from its foundation, so we can continuously support developers, helping them with the development of their custom grids. The keynotes kicked off with Maggie Pint, who gave a really nice talk about her journey from a developer on a small team to a key member of the TC39 committee, and a maintainer of MomentJS. Her message was that anyone can grow to become a significant contributor to the JS community regardless of background. It was a lovely story and urged others to get involved and support each other in their efforts. Scott Davis: It's spelled "accessibility," not "disability"
Another great keynote was Scott Davis on accessibility. He proposed that making accessible applications is synonymous with making good applications. Scott says, “accessibility features” are really just “features” and that they will just enhance the experience of your application for everyone. Scott also spoke on Universal design, which is used in engineering design to make architectural design usable for everyone by default. The last keynote of Day 1 was Cory Doctorow, who gave a compelling talk about users’ rights in technology. Cory wasn’t shy about calling out user-hostile policies in technology that take freedom from users and leave them prone to lawsuits. He had plenty of examples and made several influential arguments. Cory called on developers to be conscious -- to make sure we are doing ethical work, or more importantly refusing to do unethical work. I thought it was an inspiring discussion, something that all developers to be reminded of and something to continually examine. Cory also had a Q&A session after his keynote where he continued to tackle some usually avoided subjects. Day 2 kicked off with Aurelia Moser giving an entertaining and thought-provoking keynote about how people perceive “locations” and how we can influence them through technology. She talked about the nuances of mapping and how technology has introduced some new challenges. Aurelia showed some fascinating projects she worked on, including an artificial town that she added to Google Maps. 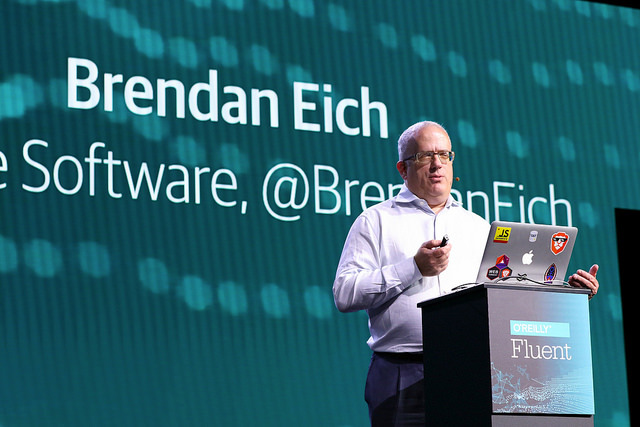 The last keynote of the conference was Brendan Eich. He spoke about privacy on the web. He gave another compelling talk (complimentary to Cory’s) that educated developers on the current state of privacy in browsers, web applications, and specific ad networks. Of course, the audience identified there are numerous privacy issues; however, Brendan discussed the how deep this rabbit hole goes. He offered a solution that gives more power and privacy to users and still allows advertisers to make money. 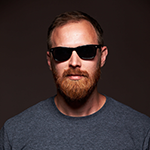 His ideas are built into the browser he founded called Brave. He is also hoping to publish the practices as a standard and wants other browsers to join in. Brendan also had a Q&A session after his talk. Sasha Aickin: What is WebAssembly good for? WebAssembly is a topic we are keeping a close eye on for Wijmo. We are always looking to get the best performance gains possible in our components, especially for FlexGrid. The talk was great. Sasha went through some (micro) benchmarks and shared the results. Sasha explained that in most scenarios, the JIT compiler in browsers is so good that WebAssembly doesn’t offer that much of an increase in performance. WebAssembly was about 1.5 times faster at most. Of course, these were micro-benchmarks, real-world applications will vary considerably. And there are definitely places where WebAssembly will offer huge gains. Sasha suggested that WebAssembly may serve a different purpose in the future -- it may help bring old software (written in C and C++) to the web. Software that would be too difficult to port to JS could be compiled to WebAssembly and run in a browser. He showed off the AutoCAD software (that was an old and massive C++ program) compiled it for WebAssembly, and ran well in browsers. Another hot topic for us is JS modules. We have long supported older formats and currently publish CommonJS modules to NPM. We are interested in the future of modules in the browser, namely ESModules. So of course, we had to attend this talk! It was also good to hear that ESModules and NPM, in general, are going to be focused on as a front-end technology. In other words, the teams recognize that most front-end developers will be using these technologies and they want them to be a first-class experience. We are looking forward to developments in ESModules and NPM’s support. What did you think about the sessions and keynotes? If you have anything to add, email me at chris.bannon@grapecity.com. Be sure to keep an eye out for us at the following upcoming conferences.